"Pugwash symposium on Strategic Defences, London 1985"
Tensions between the Soviet Union and United States increased as their nuclear reserves expanded. 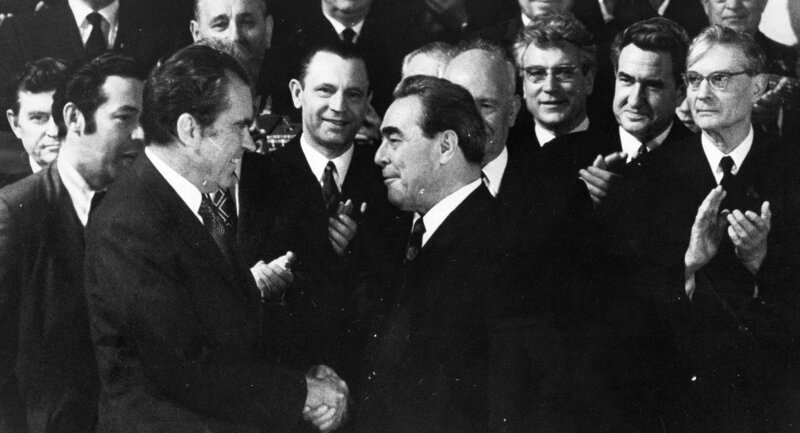 Rotblat became determined to use Pugwash to bring representatives and intellectuals from both sides of the Iron Curtain together to discuss diminishing nuclear reserves. Pugwash discouraged a bilateral approach, or the involvement of only two world powers. 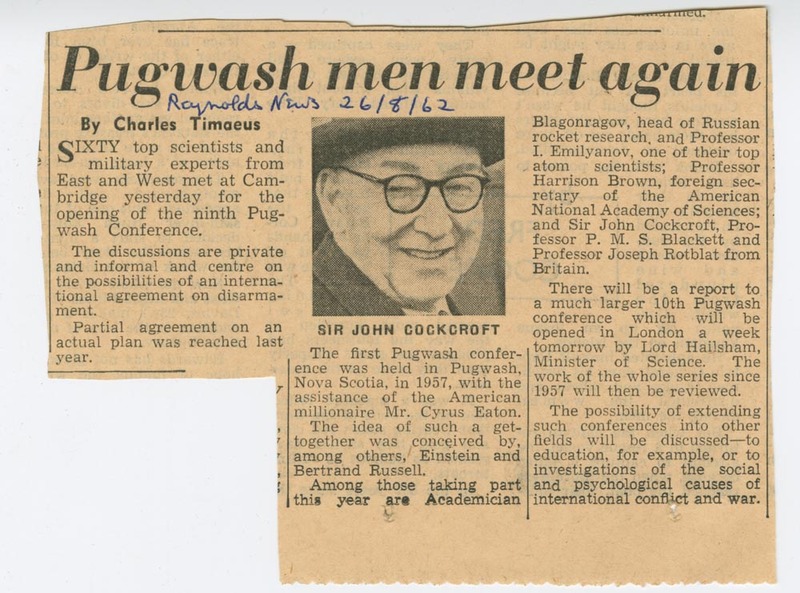 By gathering scientists from numerous countries, Pugwash successfully impacted treaties and negotiations during the Cold War. "...this first tangible evidence of progress in disarmament, towards which Pugwash has contributed so much, had created a feeling of exhilaration and hopeful expectation of further successes." 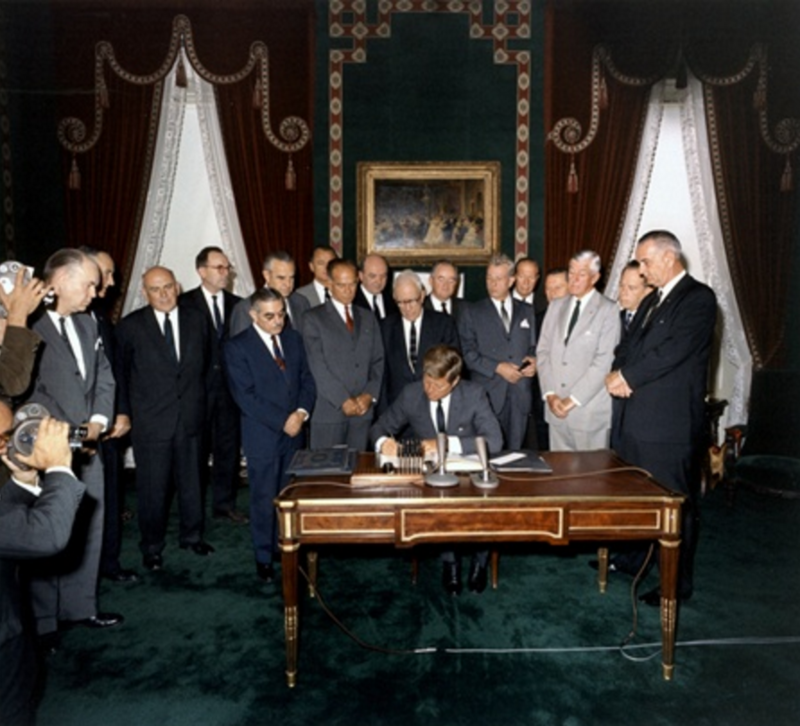 "At that time, the Soviet Union was officially in favor of developing anti-ballistic missiles. They looked at it almost as a moral issue. They said, 'We want to defend our people.' The Americans at the time were against having such a defense system. We knew that the offensive weapons [were] much cheaper than the defensive weapons. You can saturate the defenses, either with offensive weapons or with decoys...Somehow we had to explain this to our Soviet colleagues." –Joseph Rotblat in Metta Spencer's Bulletin of Atomic Scientists article "'Political Scientists"
"Eventually, by the time Pugwash met in Sochi in 1969, Millionshchikov definitely argued against anti-ballistic missile systems. 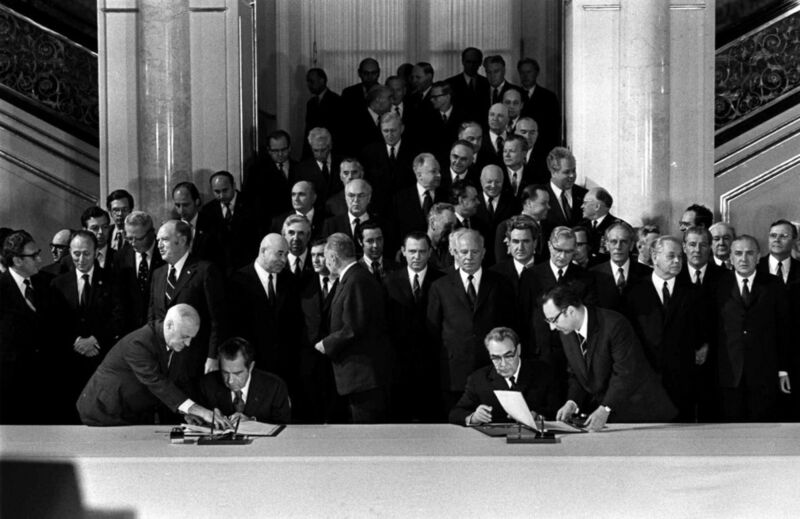 The Strategic Arms Limitation Talks began in Helsinki a month after the Sochi meeting. The ABM Treaty was an outcome of this process." Pugwash through the Cold War"
"A number of non-governmental organizations were involved in the preparatory work for these treaties, and it is difficult to assess the credit due to a single group. But the role played by Pugwash was attested by many public figures, including Mikhail Gorbachev, who said, 'Through its activities, due to its scientific and moral authority, Pugwash has contributed in a unique way to averting the military danger, has helped to stop the 'Cold War' and to achieve profound positive changes in the development of the world.'" "Launching the WMD Awareness Project with Mikhail Gorbachev, London 2004"
Pugwash also actively influenced Mikhail Gorbachev's "New Thinking," which ended the Cold War and reduced nuclear proliferation. Gorbachev announced a unilateral approach to demilitarization of the Soviet Union at the United Nations on December 7, 1988. He worked closely with Pugwash, launching the W.M.D. (Weapons of Mass Destruction) Awareness Programme in London along with Rotblat. 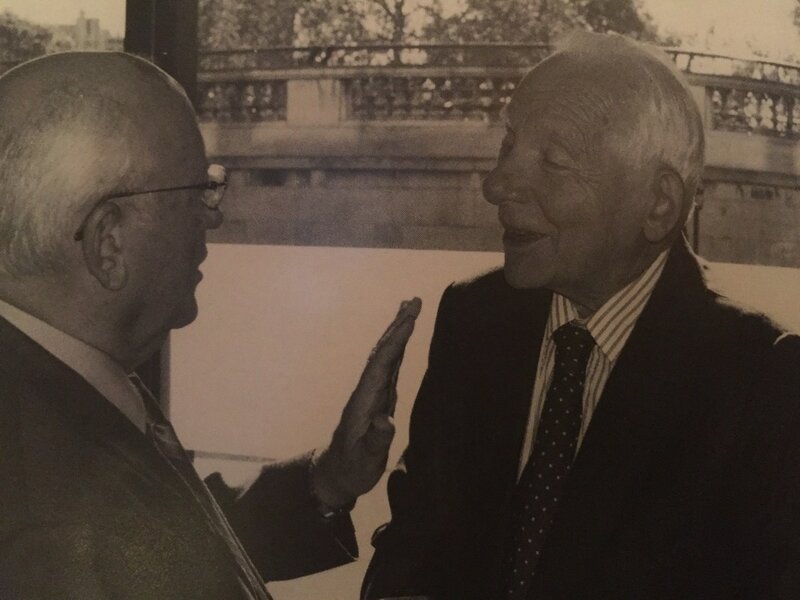 ​"I greatly valued my close rapport and friendship with Joseph Rotblat. Over the past few years, we met many times at the Forum of Nobel Peace Laureates and the World Political Forum. One could not help admiring this man of indomitable energy, moral integrity and high culture. Yet the most important thing about him was that even in very old age his mind remained crystal clear and his convictions firm. In a changed world facing new challenges, he addressed the people, ordinary citizens as well as world leaders, with an urgent appeal to rid the world of nuclear weapons, for in the final analysis this is the only way to a secure existence for future generations." 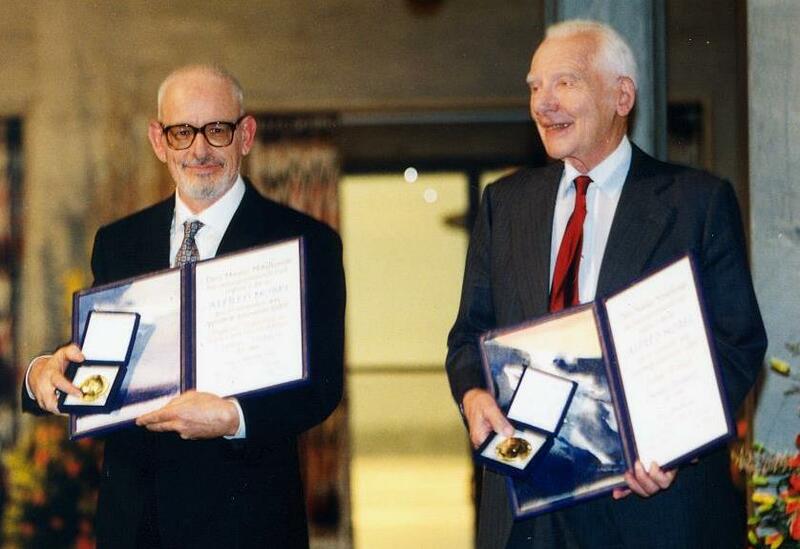 The 1995 Nobel Peace Prize was awarded jointly to Rotblat and Pugwash, sparking outrage from French politicians that felt targeted for recent nuclear testing. Others felt Pugwash was not deserving of the award for inclusion of Soviets in the conferences and uncertain as to how Pugwash could produce a world without nuclear weapons since “...(a) there would never be certainty that every last weapon was gone and (b) the knowledge of how to make nuclear weapons–hence the possibility of reconstitution of nuclear arsenals–cannot be eradicated” (Holdren, "Getting to Zero: Is Pursuing a Nuclear-Weapon-Free World Too Difficult? Too Dangerous? Too Distracting?" 8). "Fellow traveler is a loaded term. But these are people who in the darkest days of the cold war were used shamelessly as vehicles for Soviet propaganda. You have to give them the benefit of the doubt and think they were simply dupes. But it's inconceivable in light of what we know about Soviet propaganda that this operation could be seen as anything other than, at the very least, an unwitting tool of the Kremlin, if not worse." –John Holdren in "​Getting to Zero: Is Pursuing a Nuclear-Weapon-Free World Too Difficult? Too Dangerous? Too Distracting?"